So you’re looking for the best pastel de nata in Lisbon… If you’ve ever walked around Lisbon, I bet you’ve noticed all those cafes with counters full of yummy cakes and pastries. Give us Portuguese people an espresso with a little cake or pastry on the side and we’re happy. Well, at least I am! The most popular of these little treats is, of course, the pastel de nata — a small crispy pastry with an eggy, custard filling — so if you’re visiting Lisbon it’s basically compulsory to go and try an authentic one. The question is, with so many cafes and bakeries (we call them “pastelarias”) who make their own cakes & pastries in-house, where do you go for the best pastel de nata in Lisbon? I’ll narrow down your options to just two: Pasteis de Belem and Manteigaria. 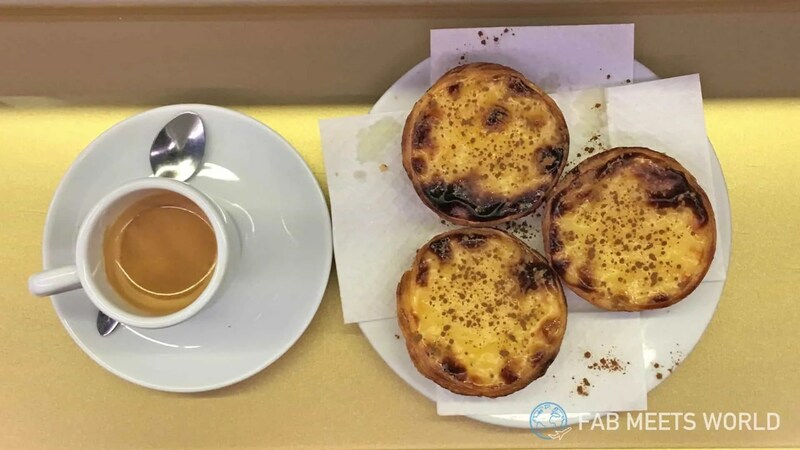 Read anything about Lisbon and Pasteis de Belem will be down as the de-facto destination for an authentic (and arguably the best) pastel de nata. These guys have been making these little tarts of goodness since 1837 so they’ve pretty much got the recipe nailed, and boy do they taste good! I’ve been eating pasteis de nata from London cafes my whole life and although they’re nice, there’s something truly different about the ones from Pasteis de Belem. The pastry base is much thinner than your usual pastel de nata, meaning when you bite into its crispy pastry you really can really feel the warm custard filling oozing out. The other big difference I noticed is that Belem’s custard filling is far less intense than most pasteis de nata I’ve eaten. 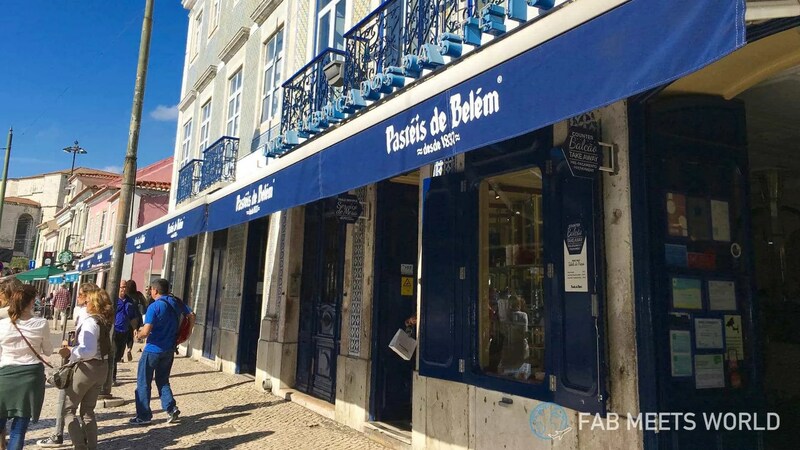 Where most pasteis de nata have a comparatively strong, distinctive custard filling, the one from Pasteis de Belem is far more creamy and soft. For fat/sweet-toothed people like me, that means you can eat 2 or more of them without feeling sick. That’s always a good thing. Based in Baixa-Chiado, nearer to the heart of Lisbon, Manteigaria is a much smaller pastel de nata factory than Pasteis de Belem, but they’re being dubbed as the best pastel de nata you can get in Lisbon. After my cousin’s persistent efforts to get me to try Manteigaria, I have to say that I can see what all the hype is about. As with Pasteis de Belem, Manteigaria uses a very thin pastry shell that tastes amazing, but the core difference I noticed is that Manteigaria’s filling had a more rich, flavoursome taste. While Belem’s filling is quite subtle (yet amazingly tasty), Manteigaria’s pastel de nata is richer and full of flavour. It’s also cool that you can eat your pastel de nata while watching the bakers do their thing, so it’s definitely worth a visit if you want to see how they’re made. Best pastel de nata in Lisbon: which one wins? Although I love them both, my vote for the best pastel de nata in Lisbon is swaying towards Manteigaria. It combines the best aspect of Belem’s thin, crispy pastry with a rich — but not overly intense — custard filling that leaves you wanting more. It really is delicious. As with any food though, I think it comes down to preference. While I liked Manteigaria’s pastel de nata, some of our group preferred the subtleness of Belem’s nata instead. Heck, some even preferred the pastel de nata we ate at Lisbon airport, with a thicker base and intense custard filling. The beauty of Lisbon — and Portugal as a whole for that matter — is that there are tonnes of places to try variations of pasteis de nata, each with their own little twist. Either way, they almost always taste amazing.